Here’s a Harold Gray Little Orphan Annie strip I scanned from October 12th 1930. I wrote about Gray previously here. 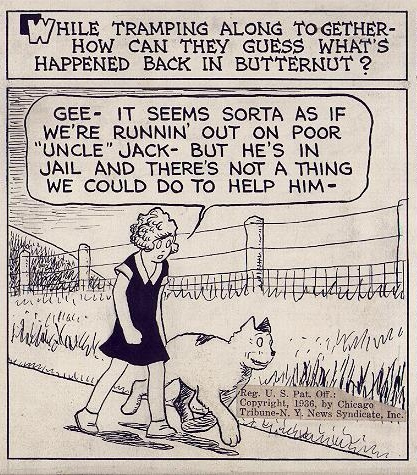 Click here to the Toonopedia entry on Little Orphan Annie. Click here to read about Harold Gray at lambiek.net. I’ll start with saying I haven’t read nearly as much Harold Gray’s Little Orphan Annie as I would like… I’ve picked up some reprints recently that I haven’t got to yet that I’m looking forward to. That said, what I have read has been extremely impressive. I love Gray’s bleak, straightforward art, his sparse, simple backgrounds, and his sense of composition. 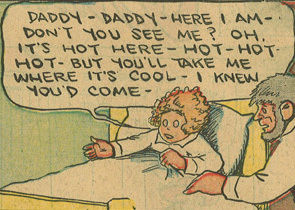 His storytelling skills made Annie one of the most popular comic strips of the thirties. Fantagraphics did some reprints a while ago… recently IDW Publishing picked it up. 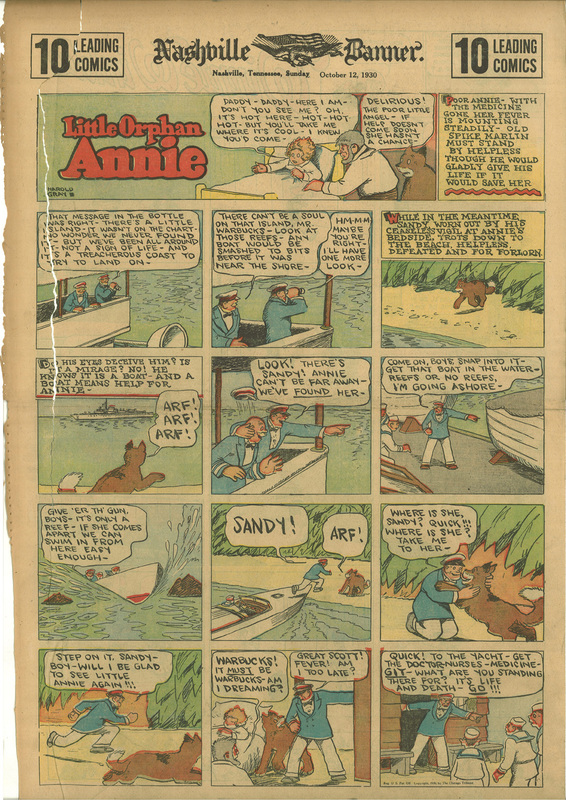 A number of different Annie reprints can be found here, including some very cool facsimile editions of her old reprint books from the 20’s and 30’s that were published by the Pacific Comics Club. Click the above image to see the full strip at comicartfans.com. One other interesting thing I ran across at comicartfans.com while making this post… the last Annie strip by Harold Gray (from 7/20/68). Click here to read the entry on Harold Gray at lambiek.net.